Why not subscribe to our YouTube channel by clicking the button below or visiting the page here. You wouldn't want to miss the results when they are announced would you? 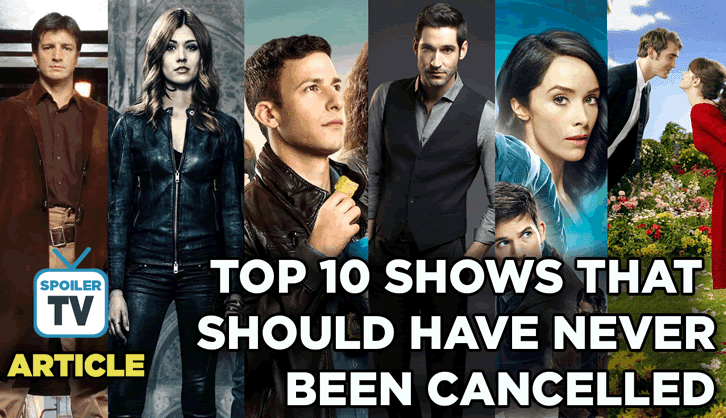 What Shows should have never been cancelled? After listening to peoples feedback on the previous YouSay, I am now going to let you guys pick the categories that go into the poll! We will then pick the 25 most popular for you to then vote for the Top 10. Originally there were only going to be 25, but due to so many nominations we now have 40 shows for you to vote for based on over 100 comments! You can now choose 2 shows in the poll which will end on 18th September 2018. Cast your Votes now! !